Tagged under Cardcaptor Sakura, Ruby Moon, Long Hair, Waifu. Borrowed form of Ruby Moon. Unlike Yue, Nakuru has the exact same personality in her true form. Nakuru prefers female clothing, because she thinks that they are much more cuter than male clothing. 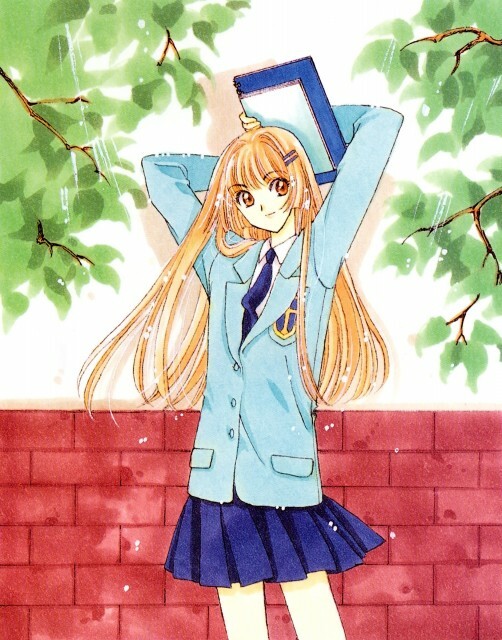 When Touya tries to give his powers to Yukito, Nakuru will interrupt their conversation by hugging Touya or to inform that someone is looking for either one of them, because she plans to take Touya's powers for herself.